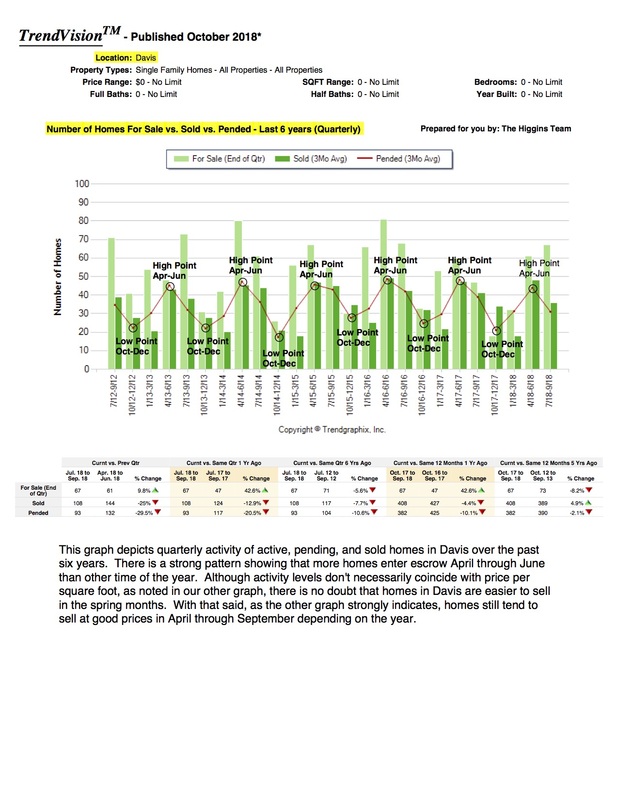 Davis, Woodland and Greater Sacramento housing market reports, new listings, community information, home buying and selling tips and more. I'm a Realtor and therefore am not qualified to provide tax advice. This information should not be taken as tax or legal advice. With that said, I'd encourage you to read this article and contact your tax advisor for further advice. 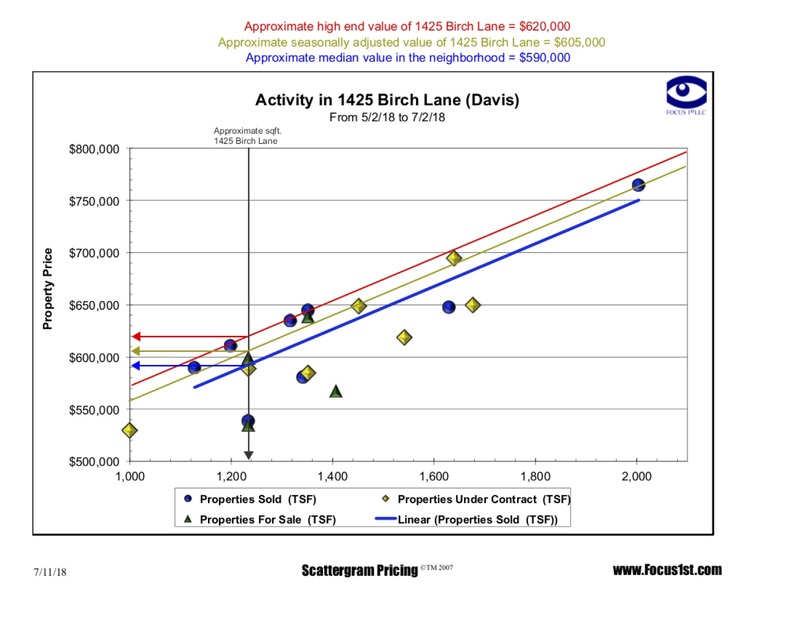 This market is moving fast and homes are appreciating at a rapid pace. Many homeowners have quickly found themselves in a position where their equity has exceeded the allowable amount to claim as a capital gains exemption. Some homes have appreciated $50,000 or more in just the last few months. The Higgins Team at the GoodHome Group RE/MAX Gold has been successfully marketing and selling homes locally for over 10 years. We have the experience necessary to guide you through the process of selling your home in this market and ensuring you do so with the least amount of hassle and for highest possible price. It never hurts to know your options. Reach out to us for a no obligation consultation. I'm confident it will be a valuable experience for you. I believe that negotiations revolve around leverage—who has it, when they have it, and when they can take advantage of it. At the end of the day, during a home sale, the seller has more leverage at the beginning of the transaction. This is because this is the period when the buyer hasn’t been able to secure the home yet and may still be competing with other buyers. After buyers make an emotional connection to the home that they want, a certain fear inevitably arises that they might not be able to get it. This makes them more likely to be deferential and give concessions on certain things. After a home goes into escrow, however, the leverage switches. Why? Because at that point, the seller can’t necessarily sell that home to other buyers anymore. The buyer knows this and takes advantage by asking for more repairs. If you’re a seller, however, there are ways to keep the leverage in your corner for much longer. The best thing you can do is get as many inspections up front as possible. Find out everything about your home that you can and present that as a marketing tool for the buyer. That way, when the buyer gets ready to submit an offer on the home, they’re also going to see those inspection reports. When they write the offer, you can use those reports as leverage to demand an open, transparent negotiation and balk at any undue repair requests. Not only does this tactic save thousands of dollars, but I’ve had sellers do this who have had buyers accept their house as-is. Every situation is different, but this core strategy has a knack for transcending the who, what, when, where, and why. If you have any questions or you want to talk about your selling strategy in particular, don’t hesitate to reach out to me. I look forward to helping you! I’d like to let the cat out of the bag today and tell you exactly how it’s possible to get more money from your home sale. This is not intended to be a sales pitch; I simply want to show you how we have managed to break price records this year for our clients. In real estate, there are essentially two very simple success principles: the first is aggressive marketing and the second is skillful negotiation. There are really only two reasons why a house doesn’t sell, and they are directly correlated to these principles—marketing and price. If people don’t know about your house, then obviously nobody will be able to make an offer on it. On the flip side, if your home is marketed well but is overpriced, then nobody will want to make an offer on it. The more people that know about your home, the more showings you’ll get. More showings mean more offers, and more offers will allow you to negotiate up to the highest possible price on your home. Let’s talk about marketing first. How do we ensure that everyone out there looking for a home in your neighborhood and in your price point knows about the home you’re selling? By now, we all know that at least 95% of buyers begin their home searches online before they even speak with a real estate agent. Clearly, it’s important to advertise your home all over the internet. However, there is another piece to the internet marketing puzzle: your home needs to be intriguing enough to catch those buyers’ eyes and make them want to click through and learn more about it. How do you accomplish this? First, you must have professional photos taken of your house. Intriguing professional photos may use a twilight shot or a night shot to show your home in the best possible light and make it stand out from all of the other homes out there. Video is also a crucial part of marketing your home online. More buyers will watch videos than will look at pictures. Recently, we’ve even instituted new 3D technology for taking these photos that will allow the buyer to walk through the home online and see the entire house. Another important element is targeting the right market online. We only have so many marketing dollars that we can use, so it’s important to spend that budget in the right places. There are many ways to target people who are likely to move, have sufficient income and good credit, and it’s crucial to be able to capitalize on that. Staging your home is also a vital piece of the puzzle. Who wants to walk into a house that feels empty or like nobody wants to be in there? Making a home feel like it’s been cared for, loved, and lived-in will make a major difference in the kinds of offers you will receive on it. The problem with a lot of staging companies is that many of them use the same furniture kits for all types of homes, regardless of the way that the furniture fits into the home. This doesn’t work. The furniture needs to fit the home and represent its character as well as the type of buyer that wants to live there. We have a designer on our staff that helps us do exactly this. Now let’s move onto the role that skillful negotiation plays in the sale of your home. Negotiation is more of a science than it is an art, but many people don’t treat it that way. There are massive amounts of data out there that will provide you with quality information to help you position your house correctly. 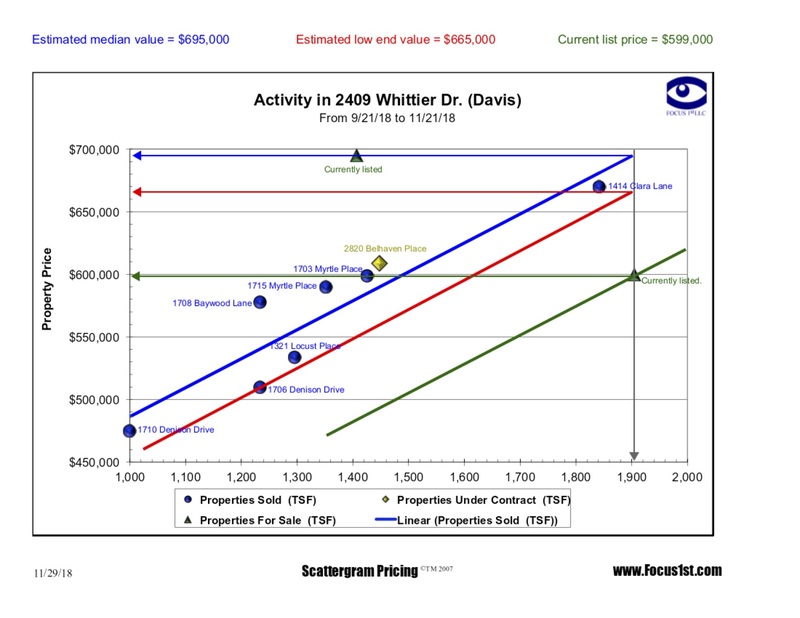 Because the goal is to get you the highest price possible for your home, neither overpricing nor underpricing are the solution. There is more to a negotiation than simply agreeing on a price. Most people typically get into negotiation on price and some terms, then get into escrow only to find out that there is a secondary negotiation. This negotiation usually pertains to repairs, and it’s where a lot of money can be lost or gained. Here is what I recommend: rather than waiting for the buyer to make inspection appointments and put in requests for repairs based on those, consider having an open and transparent negotiation with the buyer in order to maximize your leverage. We will usually get all of the inspections performed before listing the property, then present all of that information to the buyer during the first negotiation so that we know all of the repairs they need up front. We have saved clients literally thousands of dollars this way. We’ve even had buyers remove their contingencies at the time that they write the offer. These are just a few strategies that we employ and encourage you to use in order to sell your home for top dollar. If you have any other questions about selling your home for the most money possible in today’s market or anything else related to Northern California real estate, give me a call or send me an email. I’d be happy to help you! There are really only two success principles to selling your home. The first is that you have to market your home to let everyone out there looking for a home in your price point in your neighborhood know that it’s available. The second is negotiation; once you have captured the buyers’ attention, you need a skilled negotiator to get the highest price possible for your home. Today, we will focus on marketing. Keep an eye out for the second part of this video to learn more about negotiating. Now, there are two reasons why a house won’t sell: the marketing or the price. If people don’t know about your house, how are they supposed to buy it? If people do know about the house but feel that it’s overpriced, they won’t write an offer. Either way, your home won’t sell. Marketing is important because the more people know about your home, the more showings you will get. The more showings you get, the more offers you will get. The more offers you get, the easier it is to negotiate for the highest price. As you know, 95% of all buyers start their home search online. Buyers start looking at homes online before they even start talking to a real estate agent. Your home needs to be all over the Internet in order to sell. However, don’t just post pictures of your home that you took with your iPhone. Your home needs to capture buyer’s attention so that they click on your listing. Professional photos are absolutely crucial in today’s market. The professional photographer has to know how to photograph a house; they have to pick the right angles and lighting to make eye-catching and intriguing photos. The photos don’t always have to be of the front of the home, either. If you have a beautiful backyard, take a twilight photo. If your kitchen is amazing, feature the kitchen prominently in photos. You also have to have video. People love video; YouTube is the second largest search engine in the world right now, just behind Google. Over 2 million minutes of YouTube videos are uploaded each minute. Again, don’t just work with any videographer; work with one who knows how to film a home. Target marketing is really important. We only have so many dollars to spend on marketing your home, so it’s really important that we market to the right target audience. Facebook and Google are amazing at this—these sites can even let you know when people are likely to move. Every dollar needs to ensure that the marketing goes to the right person who will want to buy your home. The final leg of marketing is staging. We don’t see a lot of home staging around Sacramento; I don’t know why because staging is incredibly important. You need to hire the right stager who will draw the character out of your house by focusing on its most appealing aspects, like your beautiful kitchen or spacious backyard. If you have a Mid-century modern home, the stager should bring in Mid-century modern furniture. If you have a luxury home situated on a golf course, the stager should bring in some luxury furniture pieces. If you have any questions about marketing your home, give me a call or send me an email. Stay tuned for part two of this series, where we will focus on negotiating to get the most money out of your home sale. I look forward to speaking with you!